While a live version of Hamilton on NBC may be a distant dream, a feature film documentary about the gargantuan hit will air on PBS this fall! Part of the Great Performances series, Hamilton’s America will provide intimate access to the show’s creator and star, Lin-Manuel Miranda, and his colleagues during the two years leading up to the Broadway opening. The documentary combines interviews with experts and prominent personalities, new footage of the production in New York, and cast-led expeditions to DC, Philadelphia and New York. Audiences will sit with Miranda as he composes songs in Aaron Burr’s Manhattan bedroom. They’ll take a trip to Virginia with Chris Jackson—the African-American actor who portrays George Washington—and watch him place a wreath on Washington’s grave, as he discusses the difficulty of grappling with the U.S.’s founders’ legacy of slavery. Back in New York, Miranda and Leslie Odom, Jr—who plays Aaron Burr—visit the Museum of American Finance to get their hands on some 19th-century dueling pistols and stage a quick re-enactment. 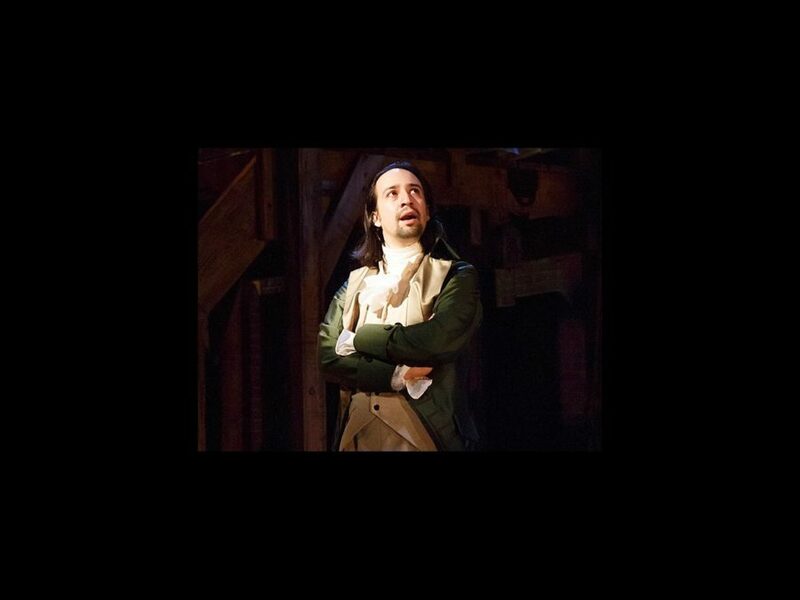 As if you didn't know already, Hamilton is playing at the Richard Rodgers Theatre. Directed by Thomas Kail and featuring a book, music and lyrics by Miranda, Hamilton is inspired by the book Alexander Hamilton by Ron Chernow. The cast also currently includes Phillipa Soo as Eliza Hamilton, Jonathan Groff as King George, Anthony Ramos as John Laurens/Phillip Hamilton, Daveed Diggs as Marquis De Lafayette/Thomas Jefferson, Renée Elise Goldsberry as Angelica Schuyler and Javier Muñoz as Hamilton alternate.